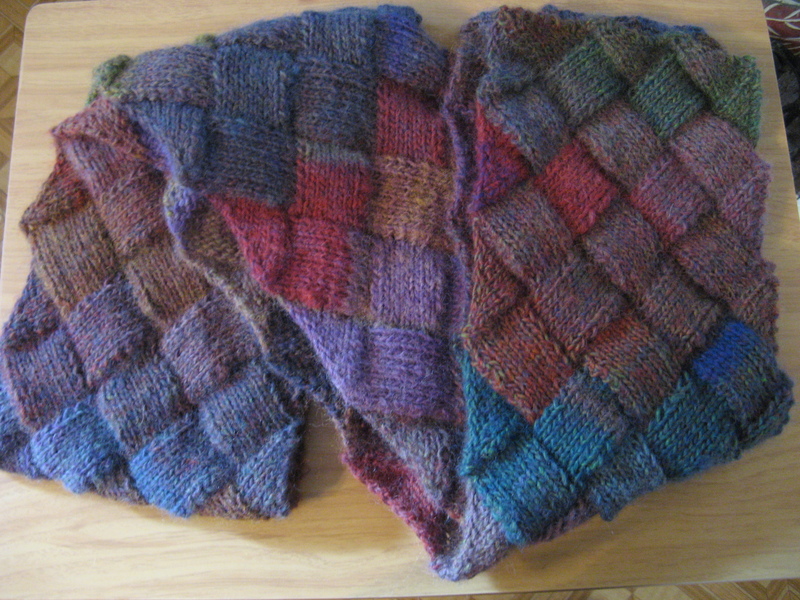 Knitting Update – Entrelac Scarf is Done! 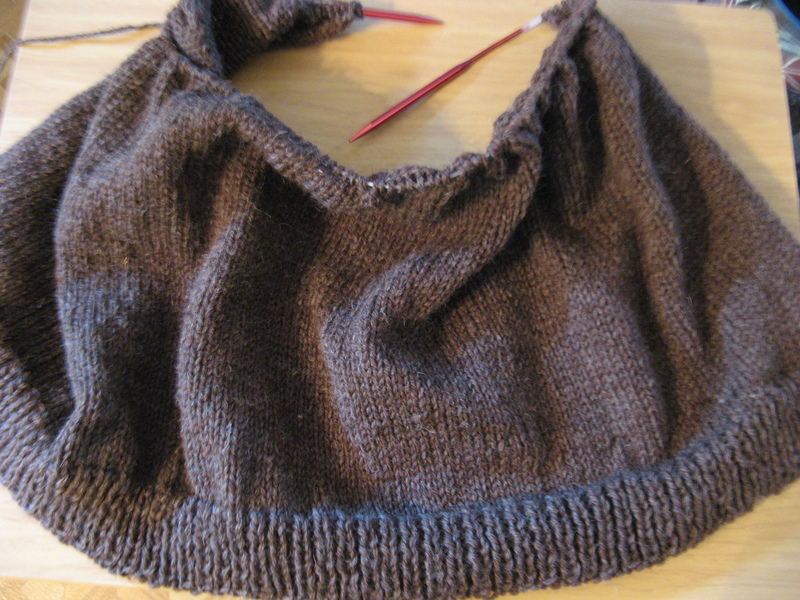 Which leads me to what is currently on my knitting needles… A shrug. 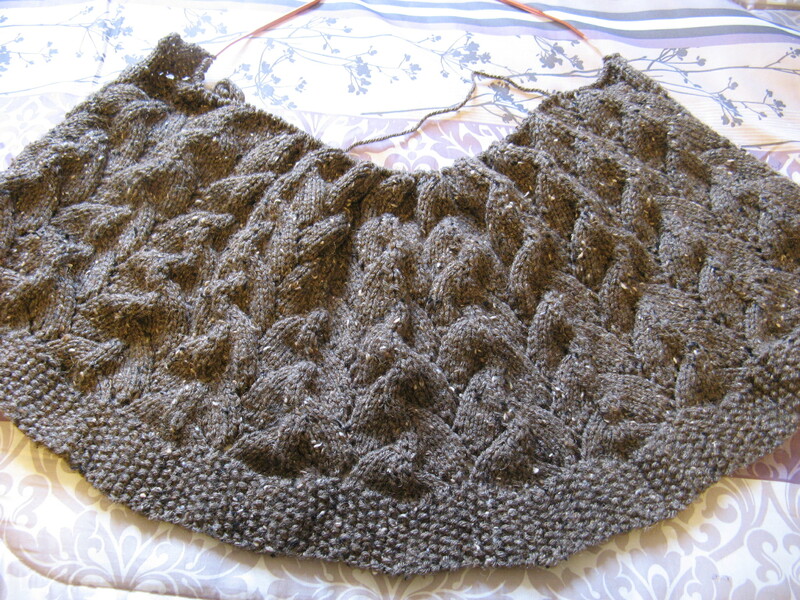 Granted right now it doesn’t look like much but once I get all 40 plus inches knitted and do some stitching I am completely sure it will look like a shrug. Hopefully! 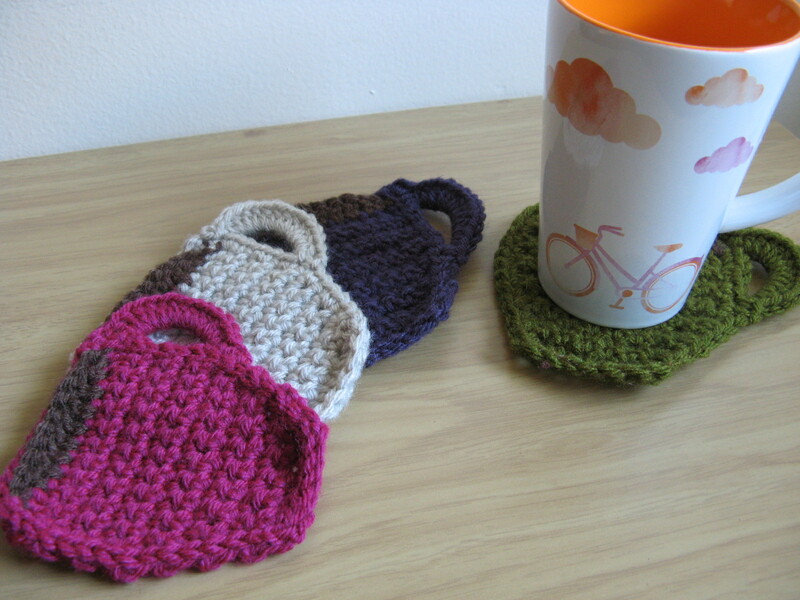 I did sneak in a quick project between the scarf and shrug… These cute coffee mug coasters that I was able to crochet in less than two hours with yarn that I already had in my yarn stash. I found the pattern on a fellow blogger’s website, Repeat Crafter Me. Stay tuned to find out if my shrug ends up looking like a shrug! 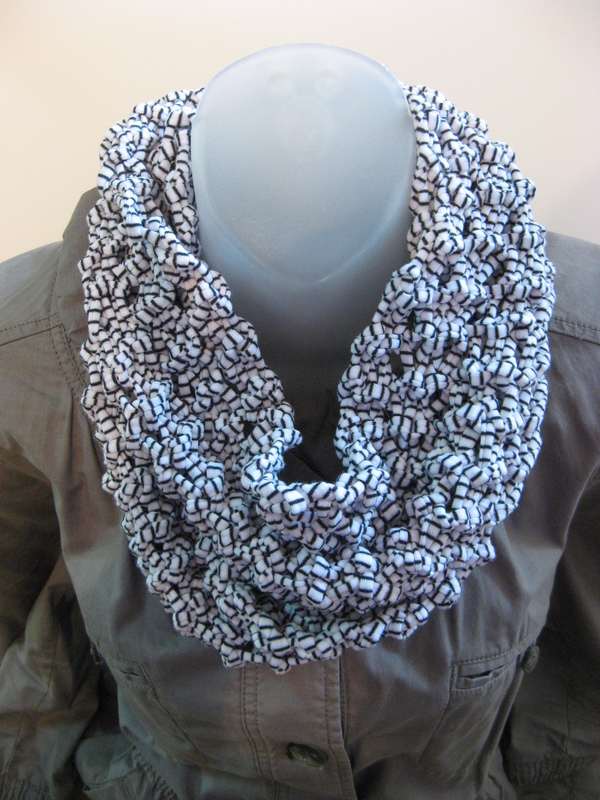 Thanks to large knitting needles and t-shirt yarn I was able to complete the infinity scarf I recently posted about in less than a week. 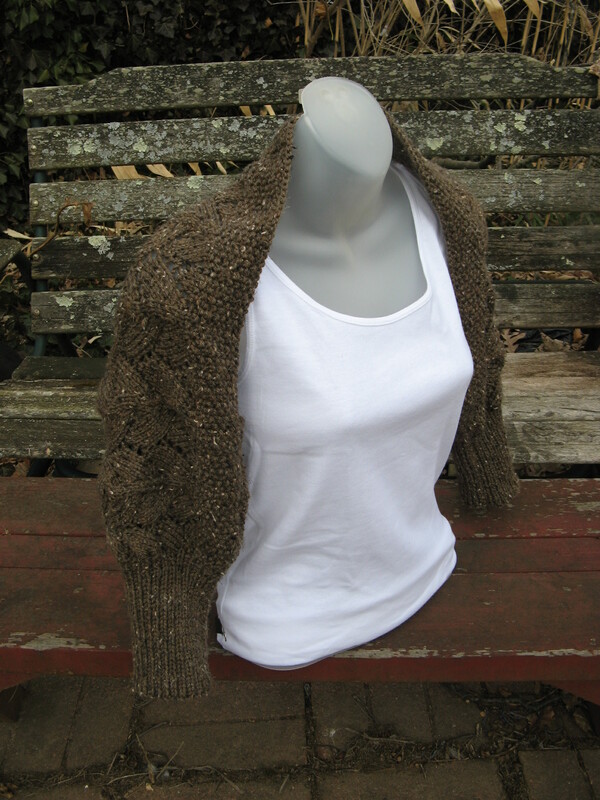 Working with the t-shirt yarn was a lot easier than working with typical yarn. I didn’t have to worry about it fraying our accidentally splitting the yarn with the needles; it’s not the ideal yarn though for most projects, i.e. a blanket. 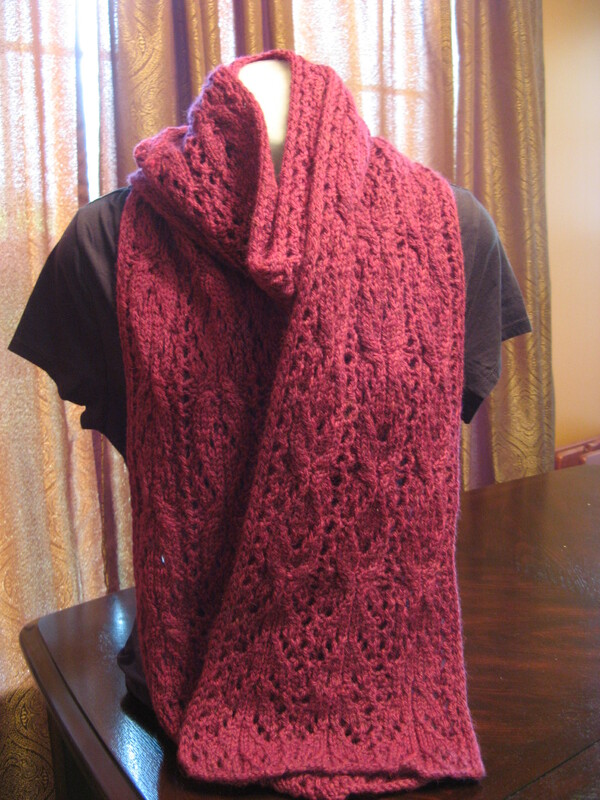 While I did have two skeins of Loops & Threads T-shirt Yarn (which is unfortunately discontinued now) on hand to complete the scarf I only needed one skein. 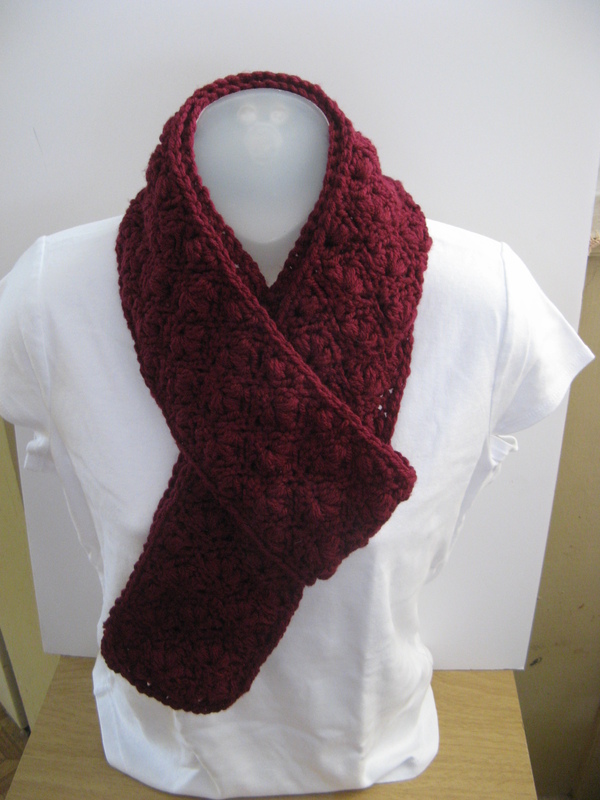 Or an ideal length for wearing long. As for my next yarn project, I’m undecided. It’ll either be a scarf (surprise surprise as those are my favorite things to knit or crochet) or a shrug. 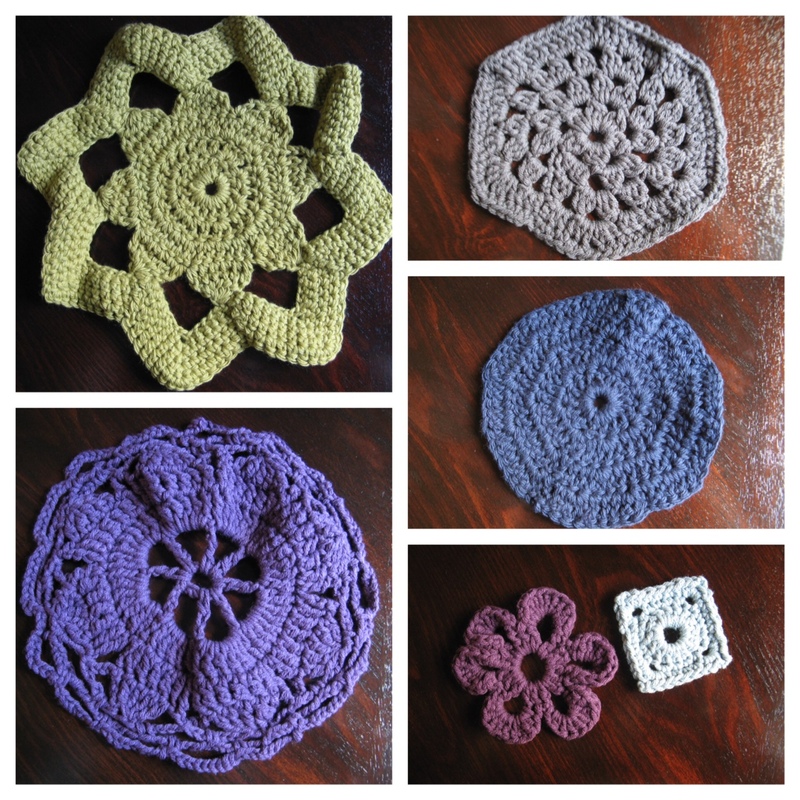 I recently completed a few crocheting/knitting projects – one was sitting on my needles a little longer than I had hoped, one came together rather quickly and another was semi-done but just waiting to be sewn together. 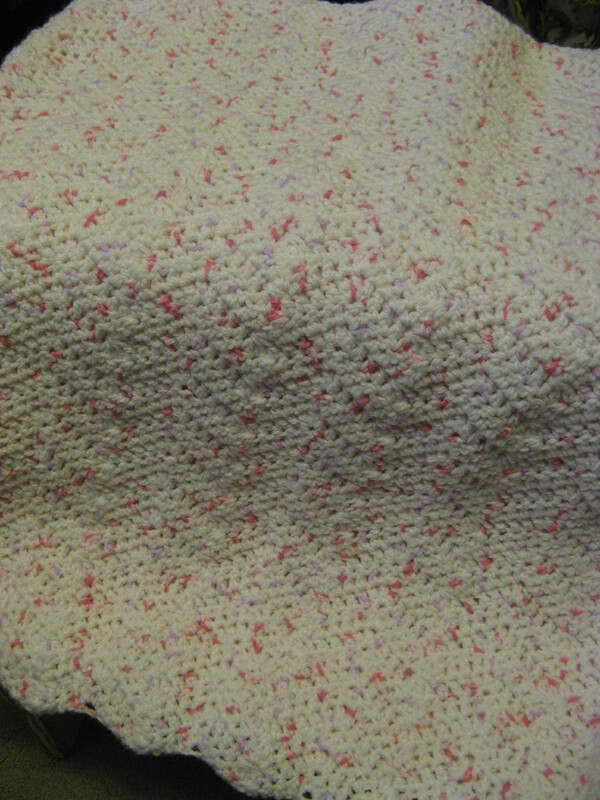 Up first a baby blanket that was a cinch to make. 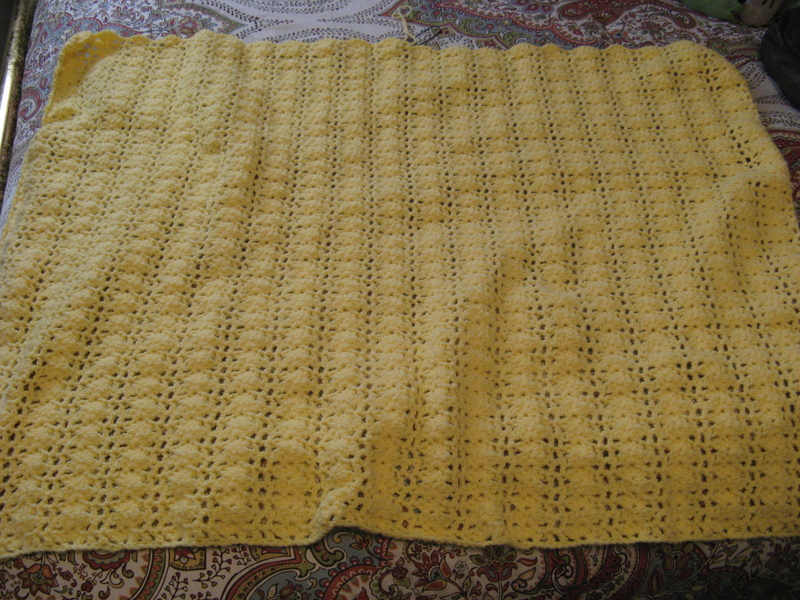 This is actually the third baby blanket I’ve completed this year – I previously made a Violet V-Stitch Baby Blanket and a Baby Blue Basketweave Blanket. 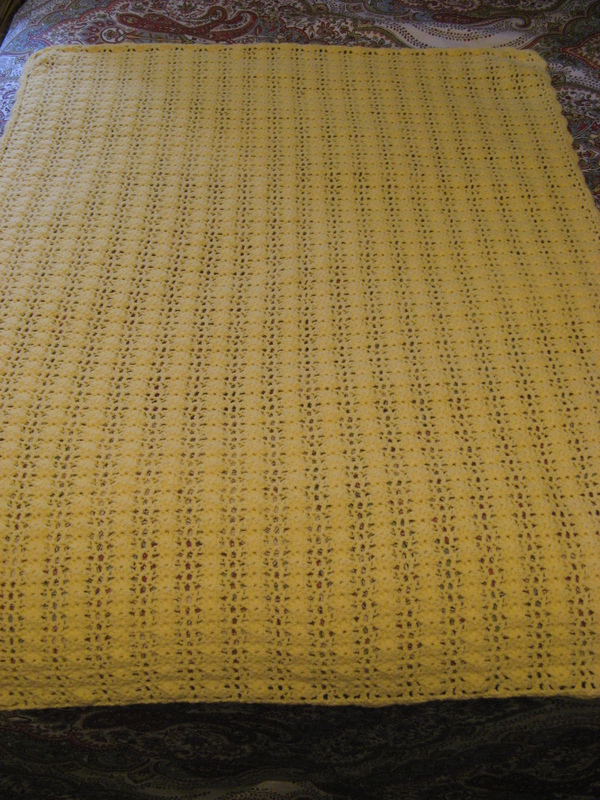 Every time I make one I try to find a completely different pattern to follow and for this one I opted to use the Spring Ripple Baby Throw pattern from the Lion Brand Yarn website. At first I wasn’t seeing the ripple pattern come through but midway through it became clearer. I’m really happy with how this blanket came out and I loved the yarn I used – Loops & Threads Snuggly Wuggly in Doodle Dots. 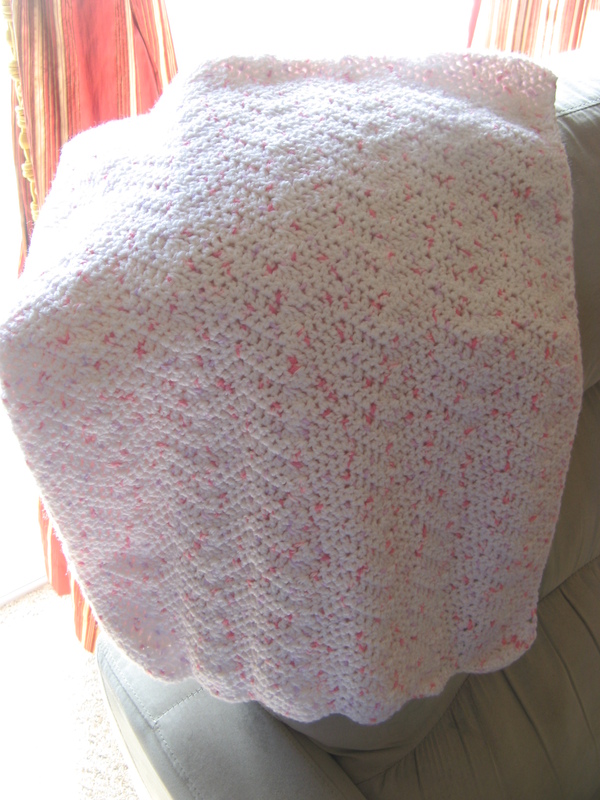 It wasn’t too heavy or too light which is perfect since the baby it’s meant for is due in late spring. And next a crochet project that I actually started late last year… the Crochet Shapes Table Runner, once again a pattern from the Lion Brand Yarn website. 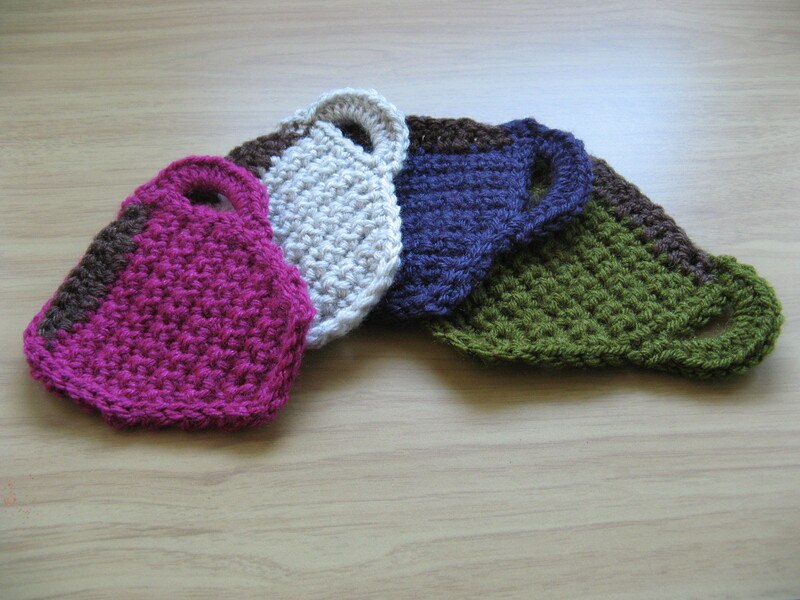 I liked this pattern even before I knew how to crochet because of the different motifs it consisted of. I had crocheted all the motifs but needed to stitch them together, unfortunately I got sidetracked with other projects before doing so. I ended up putting the motifs away but it was always in the back of my mind that I needed to finish it and I recently found the time to do so. 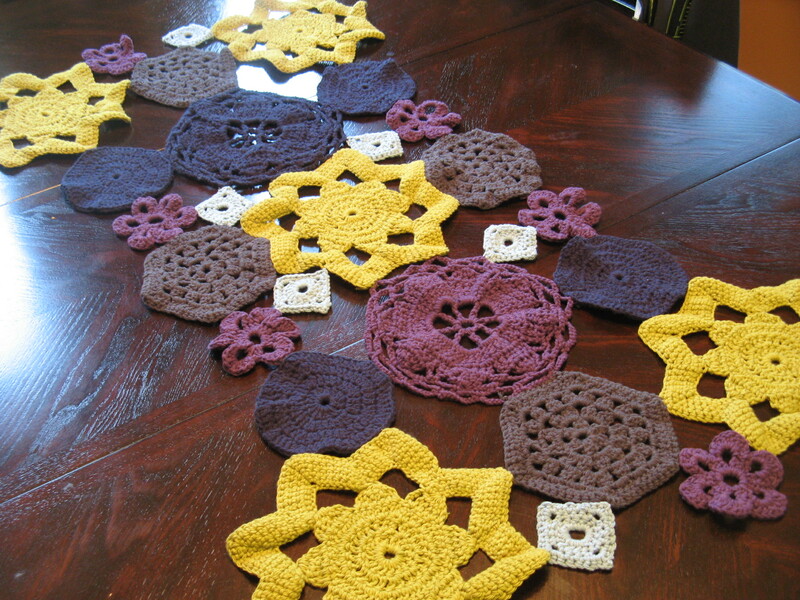 The table runner consists of six motifs: Octagon Star, Granny Stitch Hexagon, Circle in the Square, Octagon, Six Petal Flower & Flower Center Circular. And when all of these pieces are stitched together you have a unique and customized table runner. Finally, a scarf that I began when a fellow blogger, For The Knit Of It, ran a knit-a-long back in March. 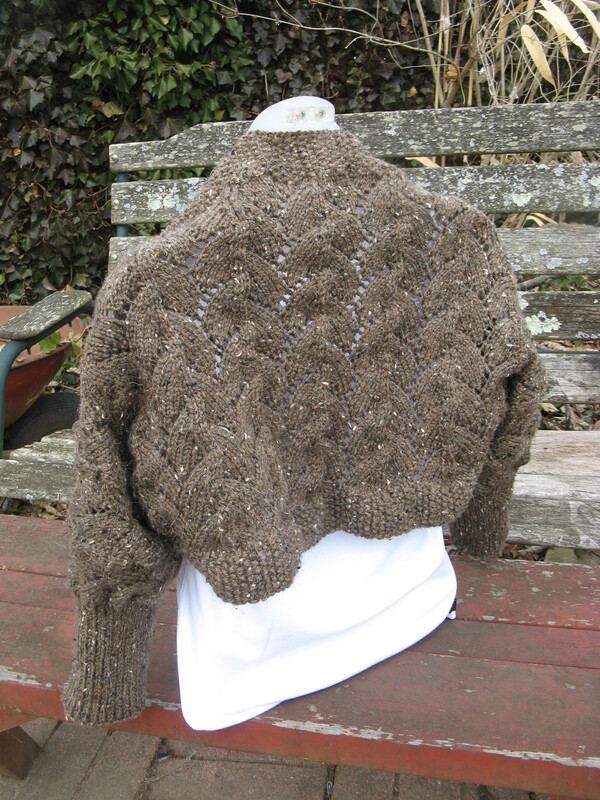 The pattern chosen was the Bosc Pattern from Robin Ulrich. And yes, Bosc as in pears. 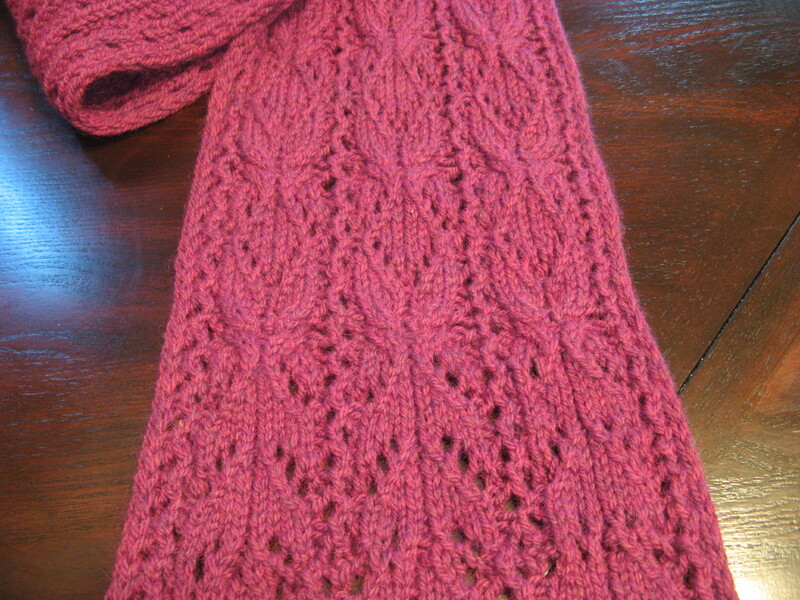 If you look closely at the scarf you can actually see the curves of pears in the pattern. 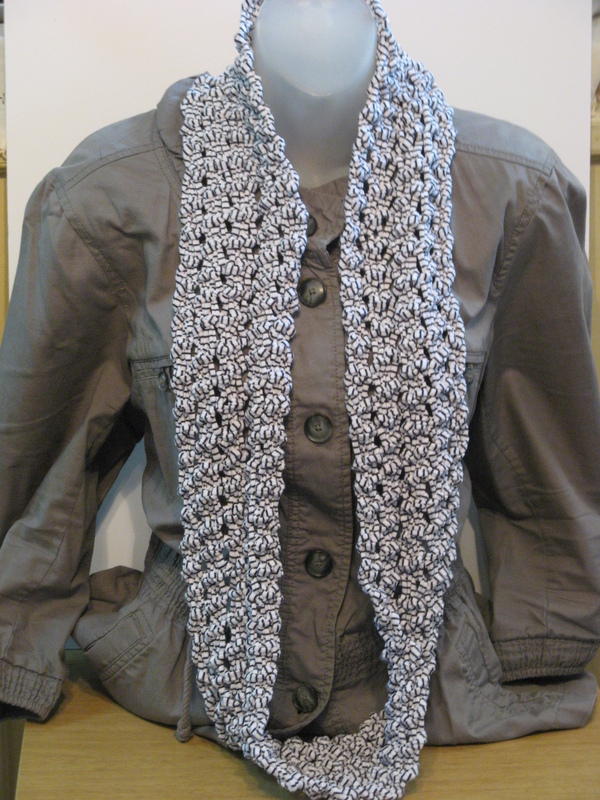 I loved the pattern and was excited to work on it, but, getting it started was such a task. 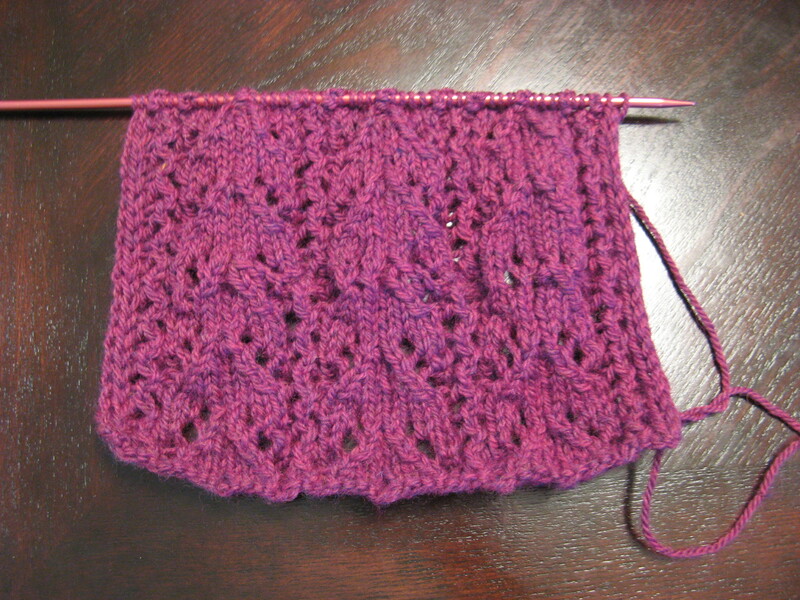 Just getting to this point – the first 10 rows of the pattern – took me about 10 tries. 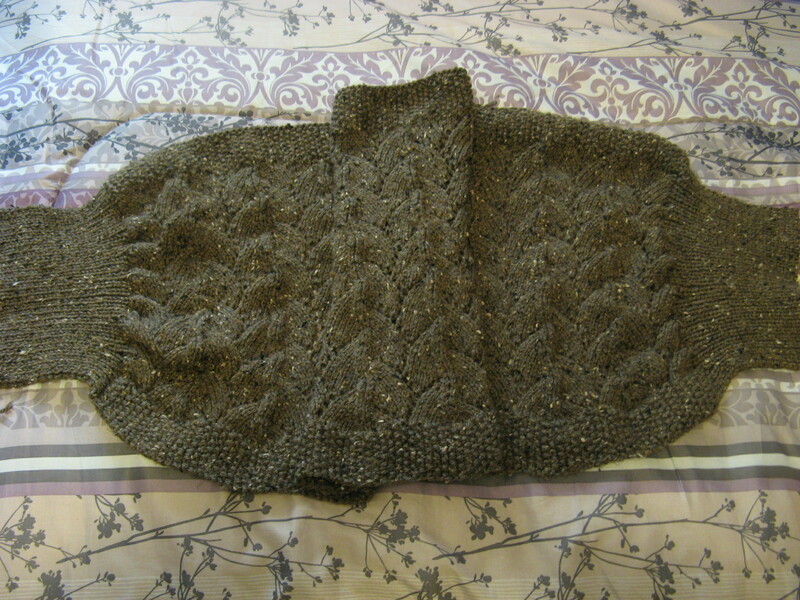 The reason… the pattern consisted of numerous yarn overs and I kept missing them and would ultimately have to start over. (Knitting is not as forgiving as crocheting.) To combat that I actually typed of the pattern and then marked where the yarn overs would be so I wouldn’t keep missing them. Once I did that working on the pattern was a piece of cake. Unfortunately for myself it wasn’t the type of pattern that I could mindlessly work on while watching television so it took me a lot longer to complete it than I had hoped. I am happy though that I didn’t give up on it and am looking forward to wearing it next winter. 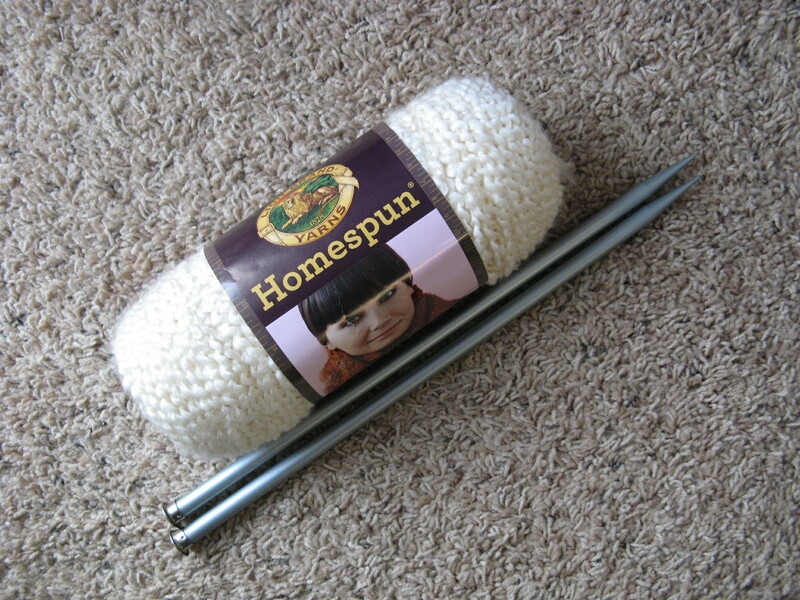 As for supplies, all you need is one skein of Lion Brand Homespun Yarn and Size 15 knitting needles. 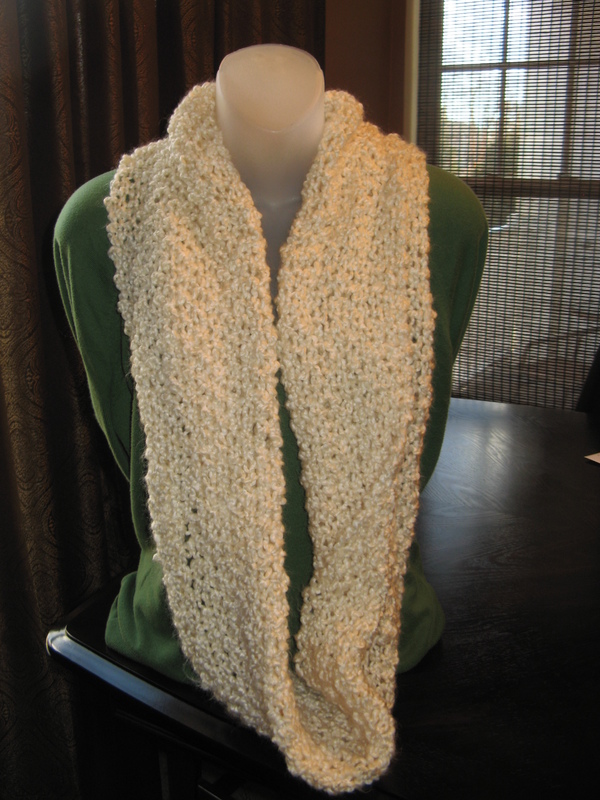 While Homespun yarn does come in an array of colors I am not too fond of the heather and striping colors so I chose to stick with something neutral – Cream. At first I was a bit unsure of how the end product was going to look. 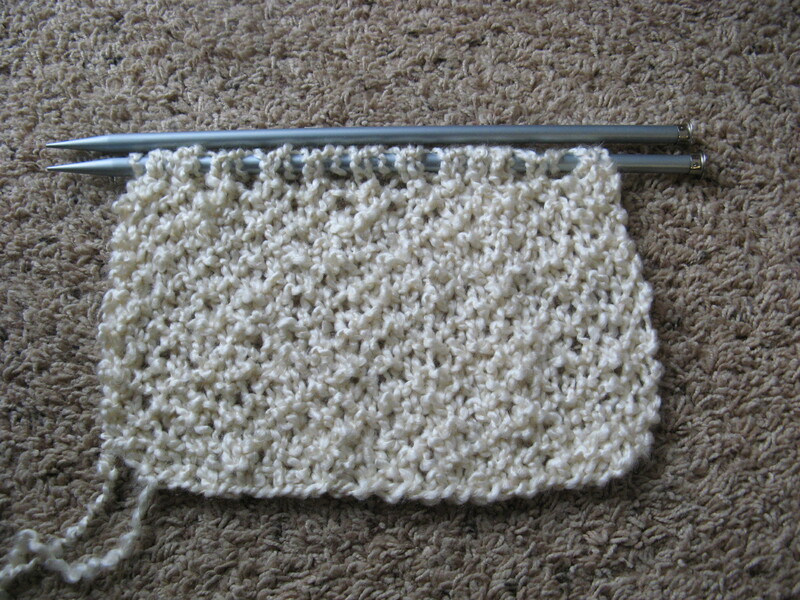 I started and wasn’t too happy with how it was working up and it took some getting used to working with the yarn. Sometimes my tension is a bit too tight and that can make working with this yarn a little frustrating. Unfortunately once I got on a roll I somehow ended up with an extra stitch and instead of trying to correct the problem I opted to just start over. 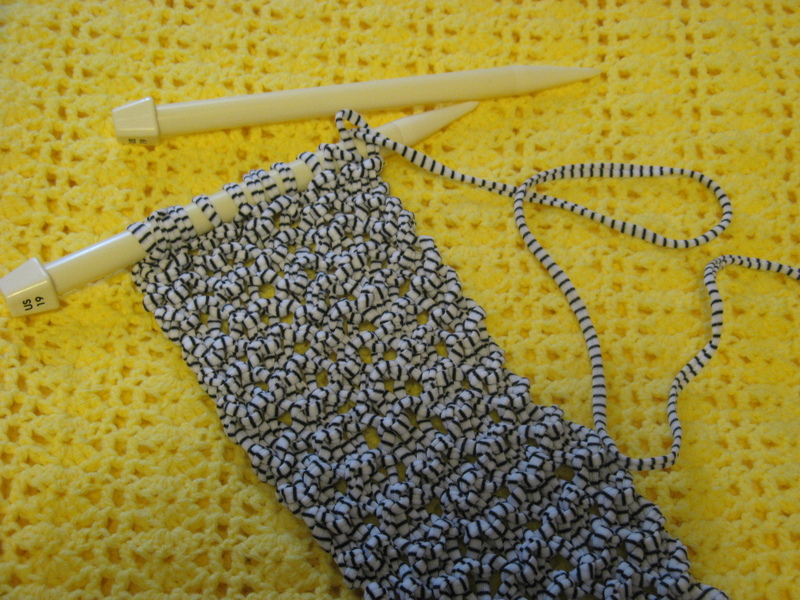 This is one of the reasons I prefer crocheting over knitting, it’s much easier to correct any errors. 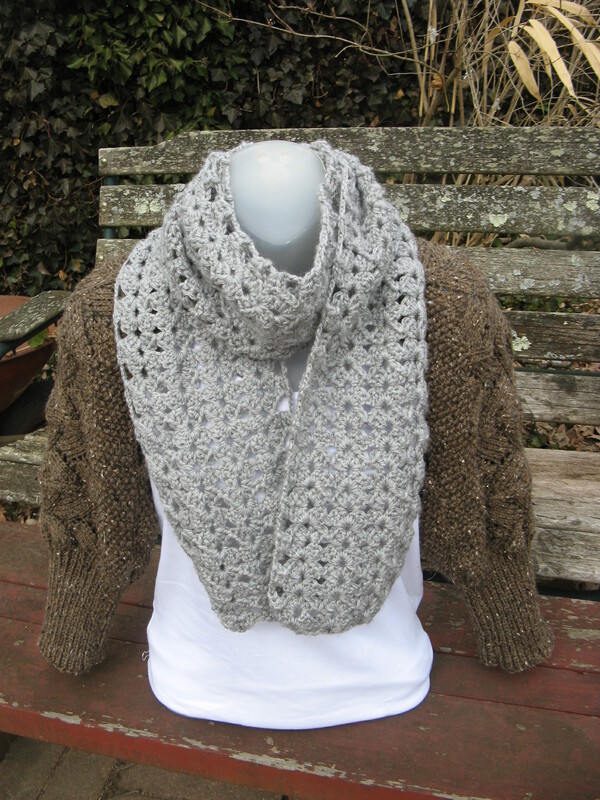 The second time around I was much happier with how it was looking and after a few hours of knitting I reached my desired length of 55 inches – I decided to make mine a few inches longer than the directions said. 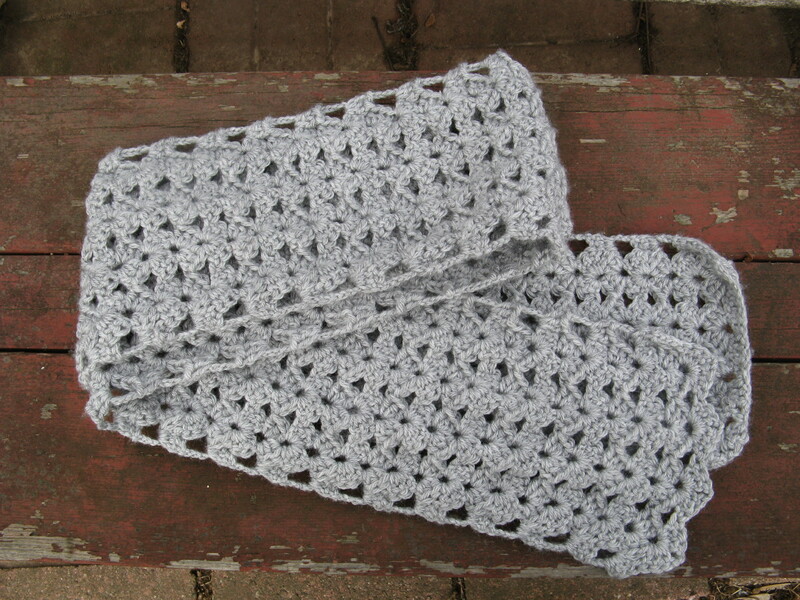 I will also note that while the directions state to bind off in pattern I decided to bind off by knitting my last row, I just find it easier to do that and I figured it wouldn’t alter the look of the cowl since I was going to stitch the two ends together. 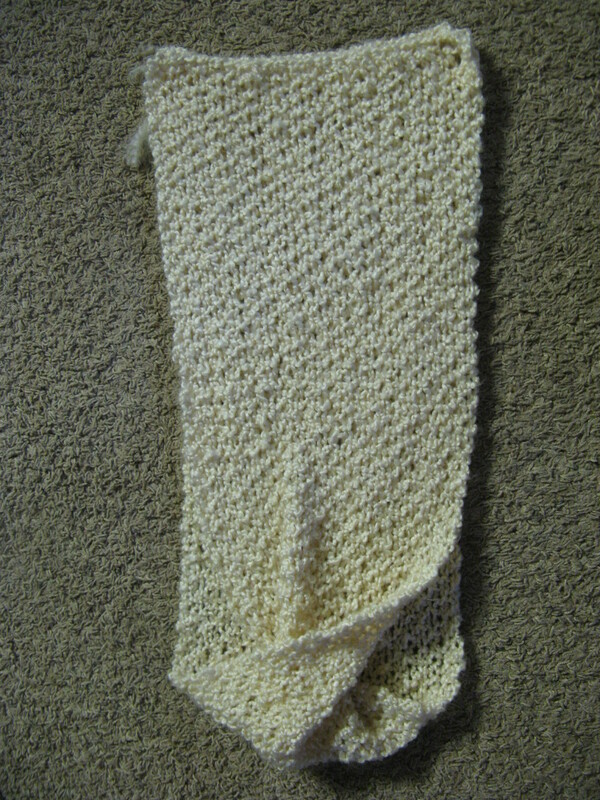 I then weaved in the ends of my yarn, created a twist and stitched the ends together. 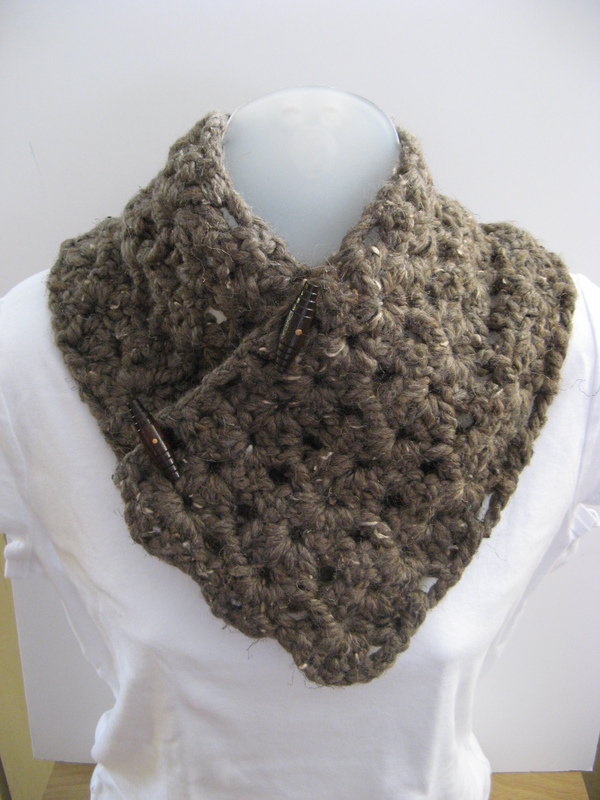 And voila I had a new cowl! 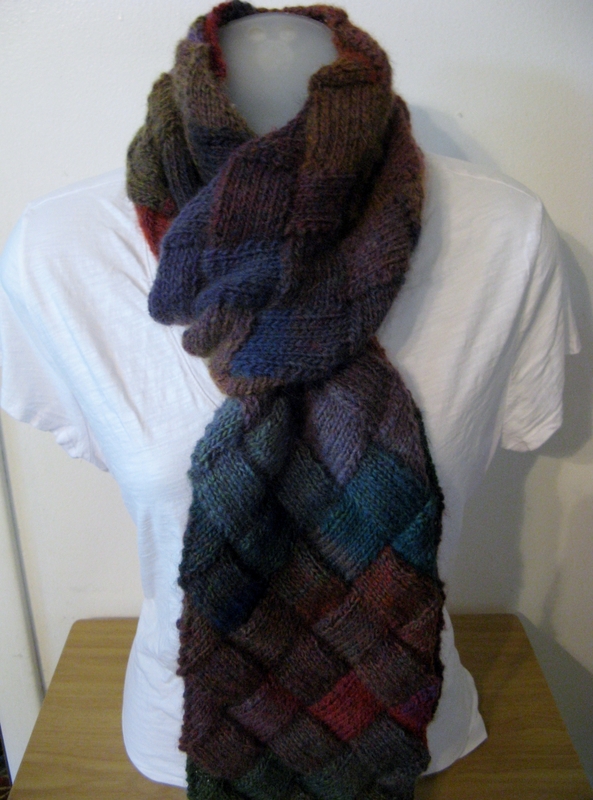 Once the weather gets a little warmer I’m sure this will become one of my go-to scarves. 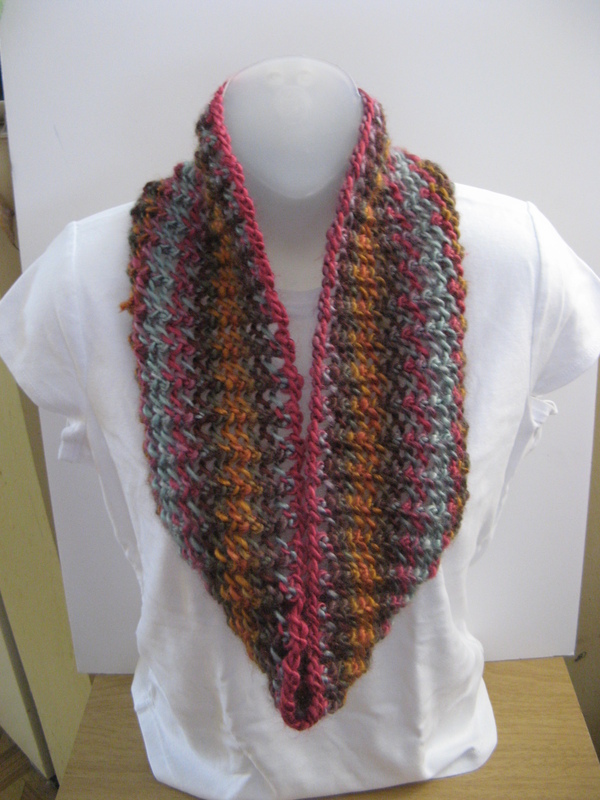 Continue with this pattern until cowl measures 50 inches or your desired length. 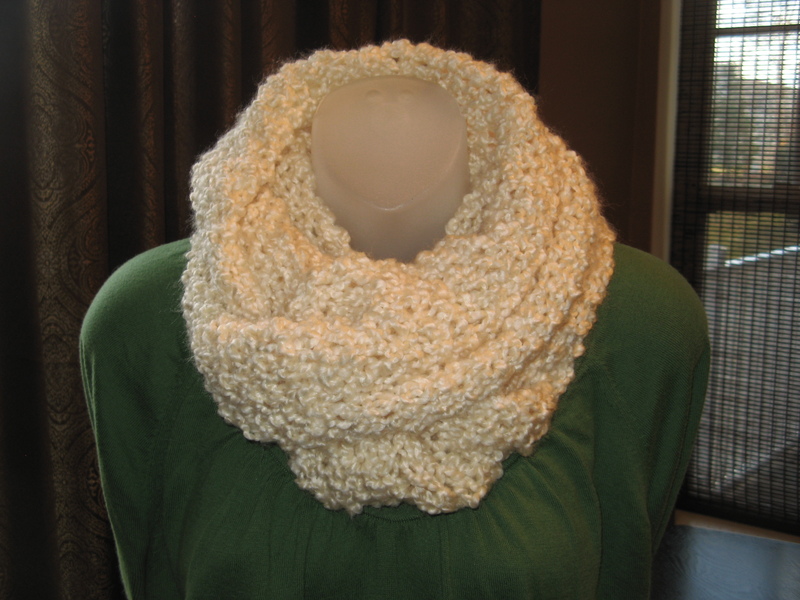 Sew short ends together with a yarn needle making sure that you have made one twist in the cowl before sewing ends.